Larry Laffer is a 40-year old software salesman who has not yet lost his virginity. Having grown weary of his lonely existence, he decides to visit the resort city of Lost Wages to find the woman of his dreams and lose his virginity. The city consists of five areas: Lefty's Bar, the hotel Caesar's Phallus, a 24-hour wedding chapel, a Club 69 disco, and the Come 'n' Go convenience store. The player can walk between areas that are next to each other, but the only method of travel between area's that are not next to each other is by hailing a taxi, which costs the player money, which Larry can earn by playing slots and blackjack. Larry's quest involves five possible women: a nameless, seedy-looking prostitute; Fawn, a club-going material girl; Faith, a security guard who (true to her name) is faithful to her boyfriend; Jasmine, a spermwhale caretaker; and Eve, a bathing beauty and Larry's ultimate goal. 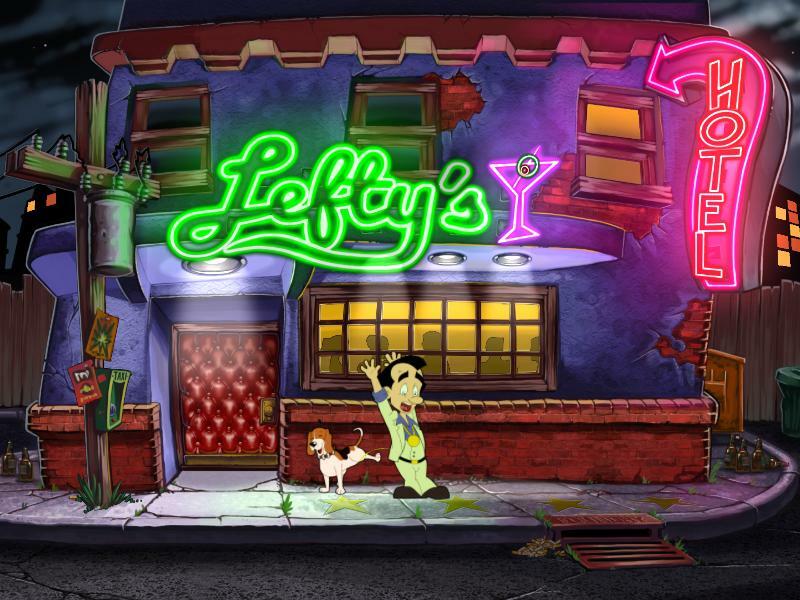 Leisure Suit Larry Reloaded is the second remake of Leisure Suit Larry in the Land of the Lounge Lizards, first released in 1987 by Sierra On-Line. The game was remade with VGA graphics and a point-and-click interface in 1991. The story and basic structure of the game and its original are actually lifted from Softporn Adventure, Chuck Benton's 1981 Apple II game and Sierra's only text adventure. This time around, the game features of course even better graphics, voice overs and a brand new music score by Austin Wintory. But this is not merely just another remake. Series designer Al Lowe come out of retirement and, along with Freddy Pharkas co-designer Josh Mandel, wrote tons of dialogue, new jokes, new puzzles and more. It even features a new babe for Larry to try to conquer, as well as new locations. And to put the icing on the cake, also Jan Rabson returned to voice Larry! After the latest two mediocre releases of Leisure Suit Larry titles which did not involve series creator Al Lowe, Replay Games managed to secure the right to use the Larry IP from the Codemasters, who had obtained the rights after the Activision-Vivendi merger in 2009. When Replay then also managed to get Al Lowe and Josh Mandel on board, the return of the one true Larry would now only depend on the willingness of the fans to finance its development. 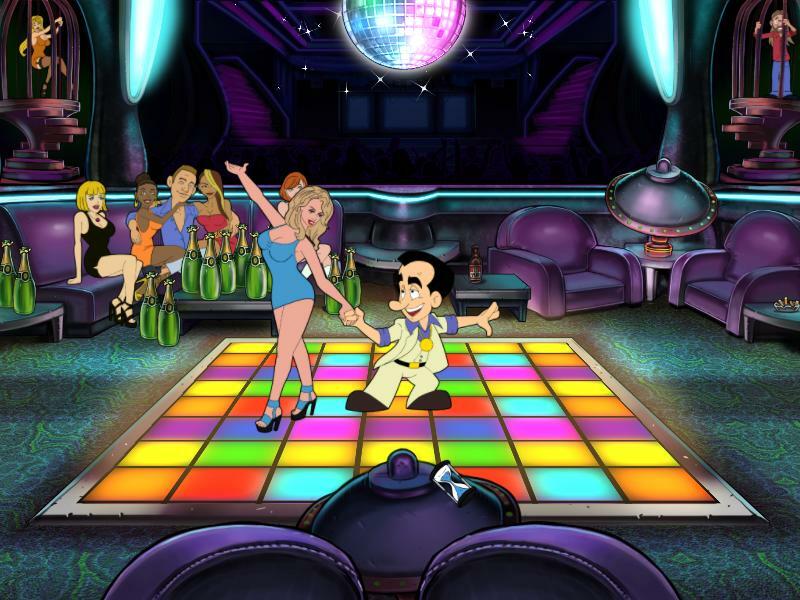 Leisure Suit Larry Reloaded was the very first return of Sierra designers with their project funded by the fans through a Kickstarter campaign, launched on April 2, 2012. With a target of $500,000, Replay Games managed to raise over $650,000 in a month. By reaching that amount, they also pledged to add the new character in the game as one of the stretch goals. Sadly this is most likely also the last we've seen of Larry. Although the game received overall positive reviews, the game cost far more to develop than initially estimated and resulted in a major financial loss for Replay Games. In addition, Al Lowe and Josh Mandel completed their contracts with no intention to work with Replay Games again. One of the reasons was disputes and controversies regarding Replay's founder and CEO, both internally with the development team as externally with other developers, the gaming community and beyond. Note that the soundtrack of the game has not been added to this game page. That is because it is owned by the game's music director, Austin Wintory. Mr. Wintory did grant us permission to publish the main theme. You can however purchase the entire OST from Leisure Suit Larry Reloaded on his website: https://austinwintory.bandcamp.com.